The disavow can contain individual URL page entries or entire domains. “#” for lines with comments. This is for your own reference and/or notes or documentation in reconsideration request (manual penalty) disavow. You can add as many lines of comments as you need; each line must start with #. Use a full URL on a new line to block that specific page. Use “domain:” followed by a root or sub-domain to block every link from that domain. Obviously this is for cases where you are certain you don’t want links from that domain. ‣ Disavowing a root domain WILL disavow all subdomains. E.g. “domain:blogspot.com” will disavow blog123.blogspot.com and blog456.blogspot.com. This is previously a detail we had wrong (along with much of the rest of the internet) but has been confirmed by John Mueller from Google. On the other hand, disavowing a subdomain specifically, like “domain:blog123.blogspot.com” will NOT disavow the root domain (blogspot.com) or any other subdomains. ‣ Disavowing by domain must NOT have “http://” or “www.” It must simply be plain domain:domain-name.com or else domain:sub-domain.top-domain.com. ‣ Disavowing bad links by domain is the method we recommend for almost all cases. 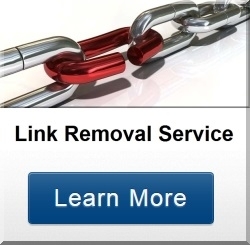 This ensures other bad links you may not be aware of are disavowed as well as all future links from that domain and links on dynamic pages (with changing names) like on many forum profile lists and SEO link directories. If you need to submit the list visit this quick Guide to Submitting the Disavow List. Exactly what i was looking for. 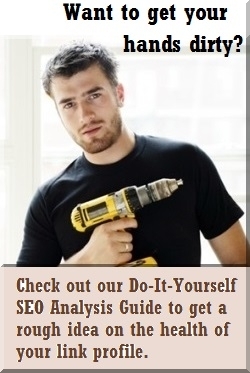 Excelent report if you are a SEO and need to check a domain link profile. Will order again for sure.